The changing character of the economies in Eastern and Western Europe are leading more people to start their own businesses. This volume, first published in 1987, highlights the trends developing over the closing decades of the twentieth century. Although business start-up requires financial and marketing skills, it also demands important physchological and sociological inputs. 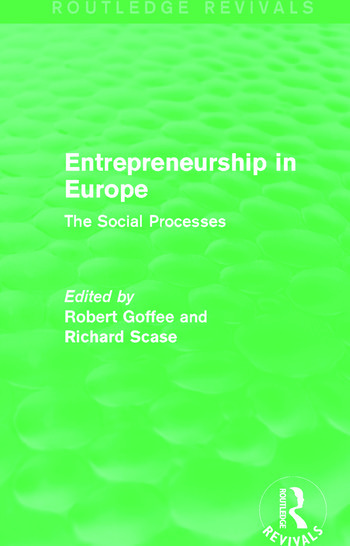 On the basis of detailed accounts of the relevant social processes, this volume describes the varied experiences of entrepreneurship as they are emerging among various groups in both Eastern and Western Europe including the unemployed, women, ethnic minorities and others. This book will be of interest to students of business studies and sociology.